A delicious frozen delight with a unique taste and rich flavor. Trust me, once tasted you will surely be tempted to have more. Pour the milk in a saucepan, Set the flame in medium and let it boil for 20-25 mins. Allow the milk to thicken. Stir frequently to avoid milk from burning and sticking to the pan. 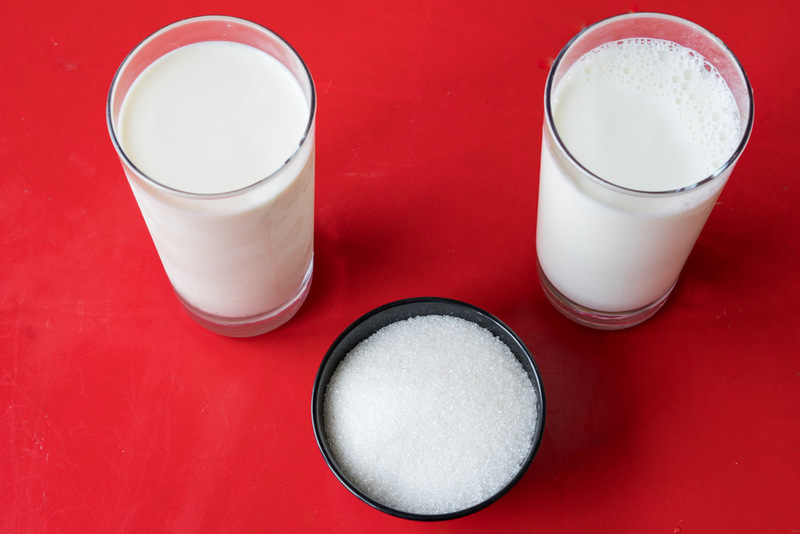 When the quantity of the milk reduces by half add sugar and mix it well. Let it boil for 10 mins, Continue to stir the mixture. Coarsely chop the almonds and cashews. Now set the flame low, add cardamom powder, chopped nuts and mix everything well. Boil it for 3 more mins and switch off the flame. Allow the mixture to cool down and then pour it into kulfi mould. Keep it in the freezer for 4 hours and serve. With fewer ingredients and a little bit of patience, you can have a wonderful treat! More sugar is necessary to get that sweet taste but the amount of sugar can be increased or decreased to your liking. Only use full cream milk to achieve rich flavor. You don't necessarily need a kulfi mould. You can also use shot glass or small serving cups.